An S2 Cell viewer is now available for Pokémon GO trainers. 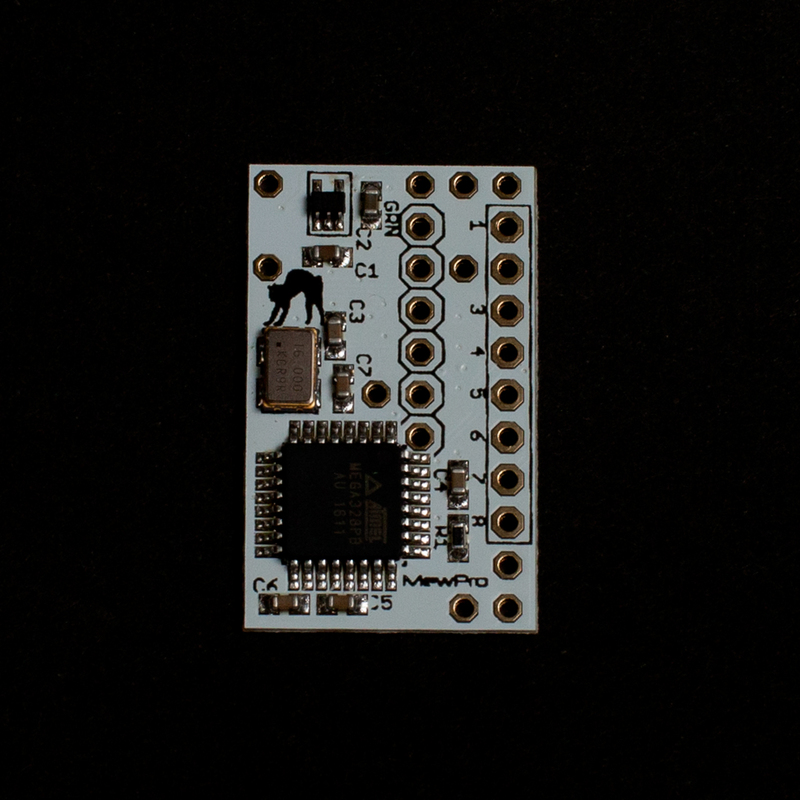 Note: The post is no connection with GoPro video cameras nor genlock nor Arduino. Note 1: A Gym or Pokéstop is visible in the map or “NEARBY” if it is contained in the level 15 S2 Cell cover of circle with radius 500m† centered on the trainer. Note 2: A Pokésource (aka spawn point of Pokémon) is always located at the center of a level 20 S2 Cell. A Pokémon is visible/catchable if they is contained in the level 20 S2 Cell cover of circle with radius 50m centered on the trainer. Similarly a Gym/Pokéstop reachable if in the level 20 S2 Cell cover of circle with radius 30m centered on the trainer. 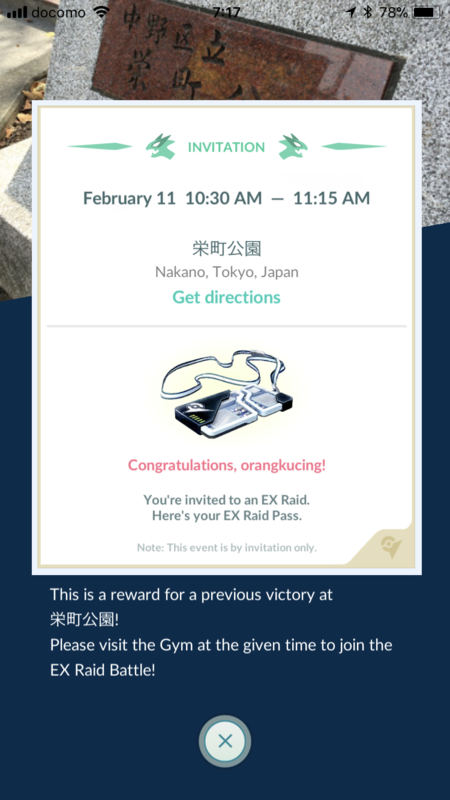 Note 3: A non-sponsered Gym is EX Raid eligible if the center of the level 20 S2 Cell containing the Gym is within “park”. We don’t explain here what are the S2 Cells nor their levels nor covers. However, using our tool you can experience them. 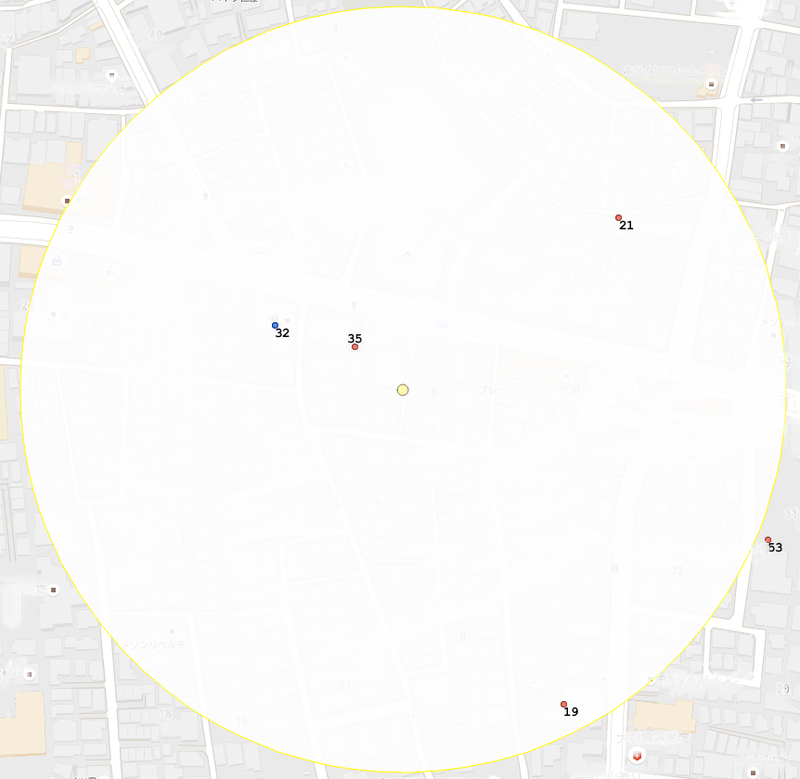 (22 Jan 2019) †: In mid January 2019 this radius has been changed from 500m to 630m. Thanks to Gavan Gates and their friends for finding the exact value! (7 Feb 2019) However, in beginning of February the value has restored to 500m. There’s another tool to visualize S2 Cell covers: Region Coverer by Sidewalk labs. For those interested in S2 Cells please refer this article or here. Our Pokémon GO S2 Cell Viewer has an inverse function implemented when radius is set to zero and level either 15 or 20. That is, an area surrounded by pink line appears and it shows from where the Gym or Pokéstop pinned is visible/reachable. 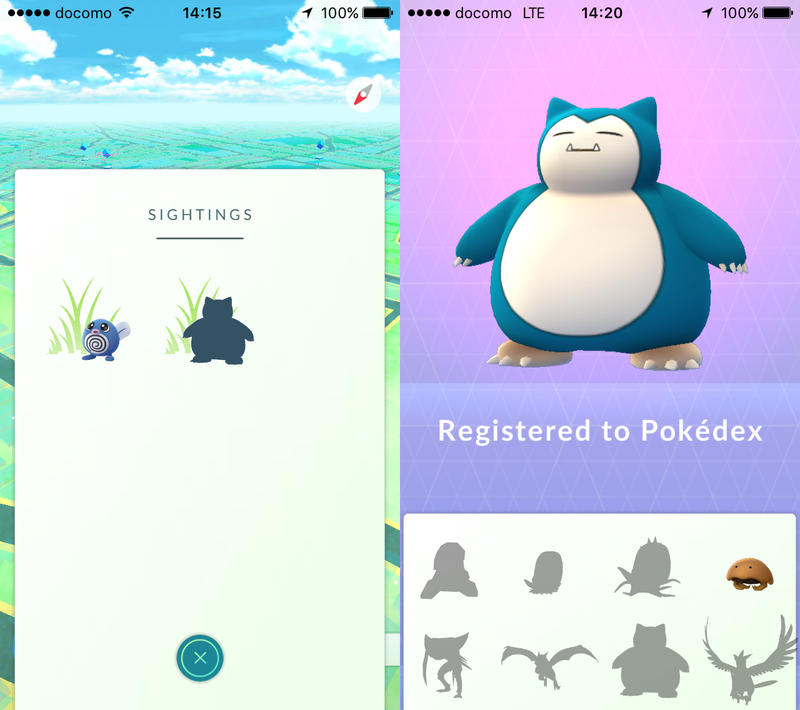 This post explains a way to utilize the SIGHTINGS list in Pokémon GO application for finding rarer Pokémons. Note. 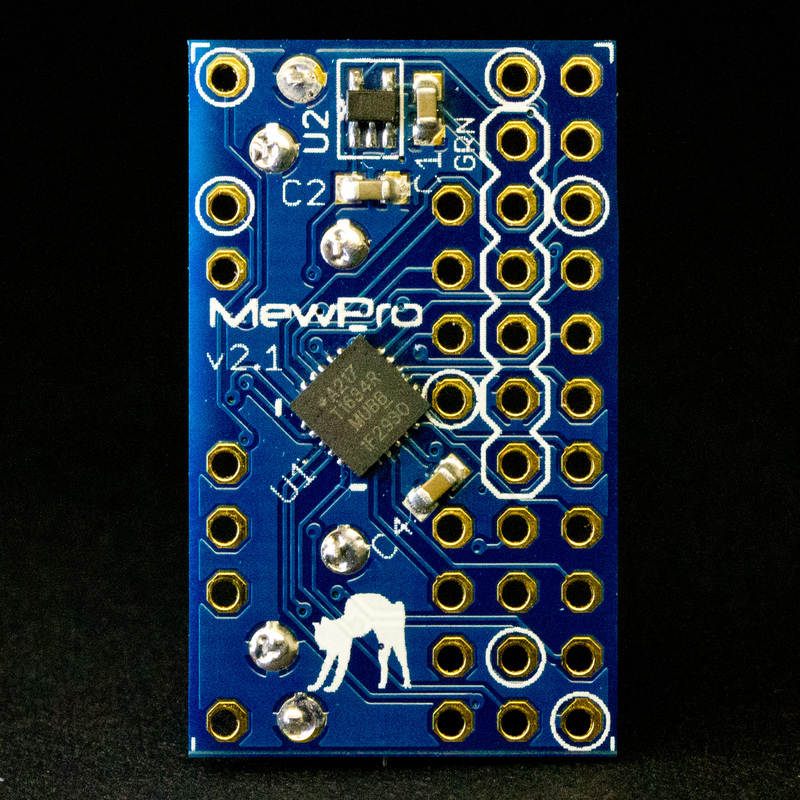 It is nothing to do with GoPro or Genlock or Arduino. For some of our staff found a theory while playing the game, we like to share the tips about Pokémon GO in our blog. 6 Nov 2016 UPDATE: Emergence duration is changed from 15 minutes to 30 minutes. The source updating algorithm has changed. Each Pokémon we see in the virtual 3D field of Pokémon GO is either of the following. 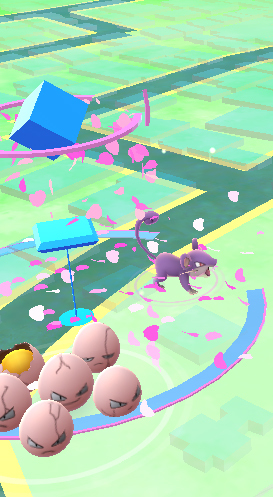 There are two subcases: 1) Found at a Pokéstop with storm of falling pink petals, appears there during 30 minute period after someone has stabbed a lure module at the stop (once per 3 minutes); 2) found around the avatar of a Pokémon trainer while he/she is with pink aroma of incense (once per 5 minutes). We’ll focus on periodic Pokémons in the rest of the blog post. The explanation why we call them periodic is postponed until the next section. There is an easy visual difference between the above two Cases: If it appears as a Pokémon sitting on or floating above pink smaller concentric moving circles or hovering waves then it belongs to Case A. If it is with white larger ones then Case B. Example: In the following screen capture the Rattata (at the right, purple mouse Pokémon) is a lured Pokémon or of Case A, while the Exeggcute (at the left, human faced egg Pokémon) Case B. It is said that using lure modules or incenses is one of instant and obvious hacks to get many Pokémons of Case A. But what can you do with other Pokémons? Are you really satisfied encountering with them only by chance? In the following sections we will show you a systematic, deterministic method to meet with many Pokémons of Case B without need to be lucky. Let’s start the section by presenting some of our observations. Fact 1. Periodic Pokémons are always appeared only on fixed, pre-designated geographic points on the 3D map. Contradicting everyone’s intuition, each Pokémon as well as lured one does NOT move on or drift to somewhere, just stay at their conjured place for a while, and unless you get it by throwing Pokéballs then pop disappear into thin air. Definition. A Pokésource is a geographic location on which Pokémons without lured appear. That is, if no one use lure modules and you don’t use incense then Pokémons never appear except a Pokésource is located within your view or a circle of radius 40m (or 50m if GPS accuracy is worse). Unlike Pokéstops, Pokésources are invisible on the 3D map. However, they somewhat have a tendency to be placed near Pokéstops. Fact 2. Each Pokésource produces a yet invisible Pokémon once an hour at x minute past every hour where x is a constant depending on the Pokésource. Thus, we already have called these non-lured Pokémons periodic. An invisible Pokémon becomes pop visible when you go walk and your search view or the area of pink and white circle wave emitted by the avatar once reaches the geolocation of Pokésource. The following is an actual map showing all Pokésources in a Tokyo suburb, Japan (as of 6th Nov 2016). Each digit represents the constant x minute past every hour. Fact 3. Every Pokémon stays at a Pokésource for time period of 27 to 30 minutes for generic case. Note. There exists a Pokésource which conjures Pokémon whose emergence duration is 57 to 60 minutes. We call this type of Pokésource a degenerated Pokésource of multiplicity 2. A generic Pokésource is considered as having multiplicity 1. Moreover, there are cases that a Pokésource stops producing Pokémon after an update. These kind of dormant Pokésource is considered as having multiplicity 0. In the above map all locations of Pokésources are marked red but one having multiplicity 2 blue. The following fact is the fruit of our investigations. Fact 4. SIGHTING list shows all periodic Pokémons within 200 meters. A periodic Pokémon appears in the tab at x minute past every hour (where x is the constant) and vanishes 27 to 30 minutes after that for Pokésource of multiplicity 1. 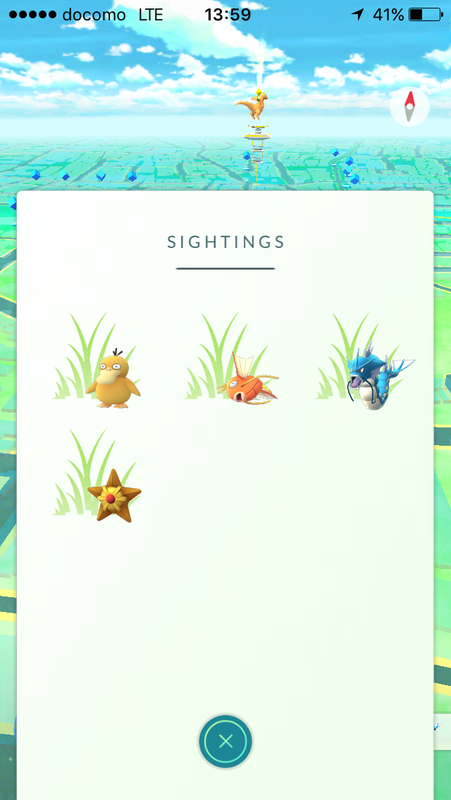 While the Pokémon is listed in the tab, it means your avatar can encounter it in the 3D map when you approach near enough to its Pokésource. Note: If there are more than one same Pokémon in the area, only one Pokémon is listed and you can’t tell how many the Pokémon are within 200m. 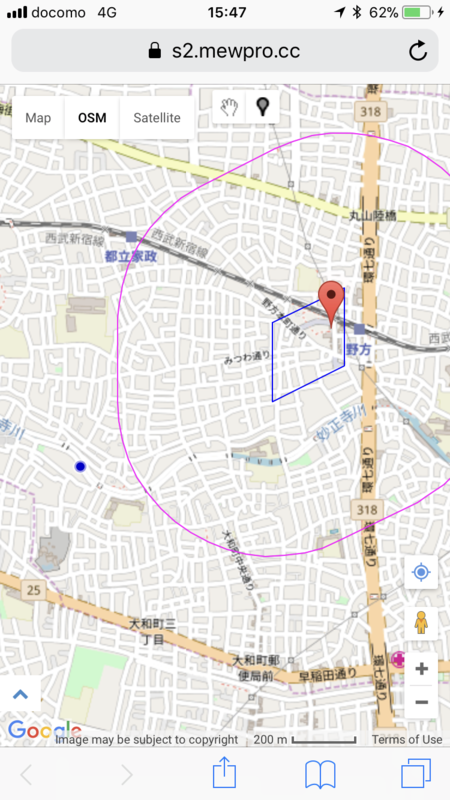 Example: Suppose it is 20 minutes past 8 o’clock in the morning, and you are eating breakfast in your dining room located at the center of the circle of the above Tokyo suburb Pokésource map. 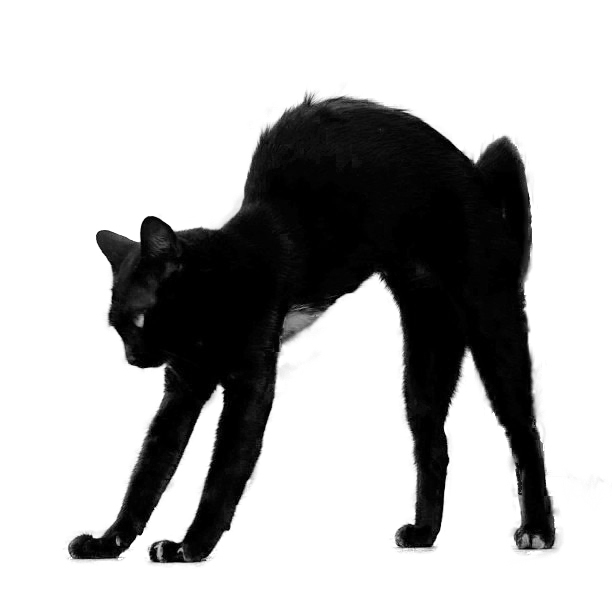 One minute later you suddenly notice that there appears the gray silhouette of Mewtwo in your SIGHTING tab! What should you do? Needless to say you should go out immediately to the location marked 21 and you can actually get it! Because it is the only place having spawning time of 21 minutes and the SIGHTING list quite accurately shows all Pokémons in the immediate vicinity of 200 meters. We like to close this revolutionary article by some tips. Tip 1: If you get a periodic Pokémon by throwing balls then it also disappears from the SIGHTINGS list, unless another same Pokémon still exists in the area. Tip 2: Periodic Pokémons are very punctual in appearing time but have some fluctuation in vanishing. Tip 3: The order of Pokémons in the list is completely random. However, the first row is shown when the tab is shrunk.